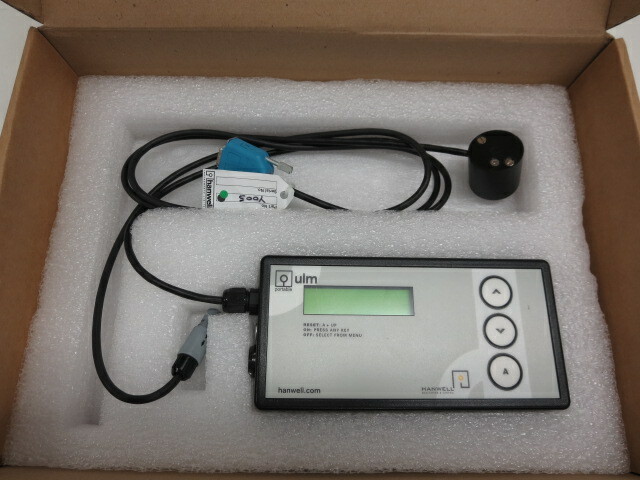 The ULM has internal auto-scaling across the ranges 10 to 20,000 Lux and 10 to 1,000 μW/Lumen. In the normal mode of operation it displays light levels on its alpha-numeric LCD screen as Lux, μW /Lumen and mW/m2. Lux is detected by a photometric diode and UV by a silicon carbide sensor which provides a response over the range 250 to 400nm. The sensors are mounted adjacent to each other, with cosine-correction of both Lux and UV.